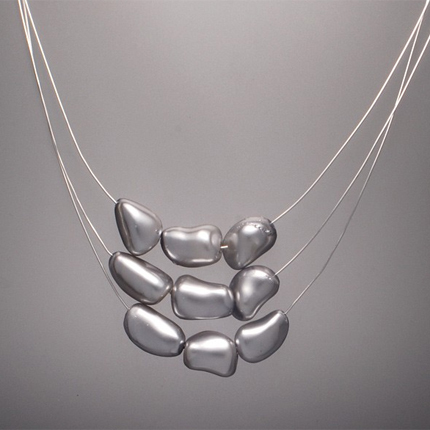 Another beautiful version of our modern pearl necklace. Silvery grey colored freshwater pearls on fine silver wire. Just stunning. We make the shortest length about 18″, please specify size if you would like it shorter or slightly longer. Goes with a variety of wardrobes and all the seasons.